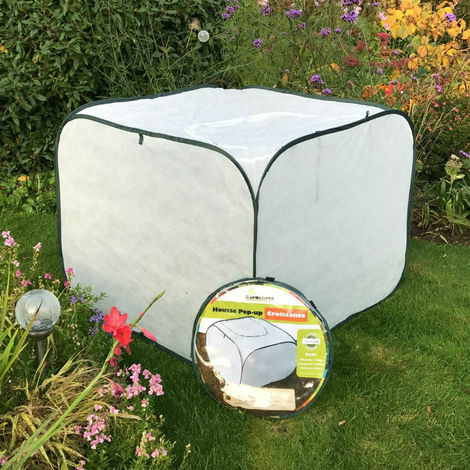 The GardenSkill Pop-Up Fleece Cage is the quickest and simplest way to protect your crops from frost and winter weather. Made from heavy duty 45gsm woven PE fleece, with a spring steel frame that self-assembles instantly. No extra tools or experience needed – just unzip the bag, pop up and peg down! Ideal for quick crop protection during sudden cold snaps and poor weather. Use for protecting crops and tender plants over winter, and also for warming soil in early spring. Available in a range of sizes.